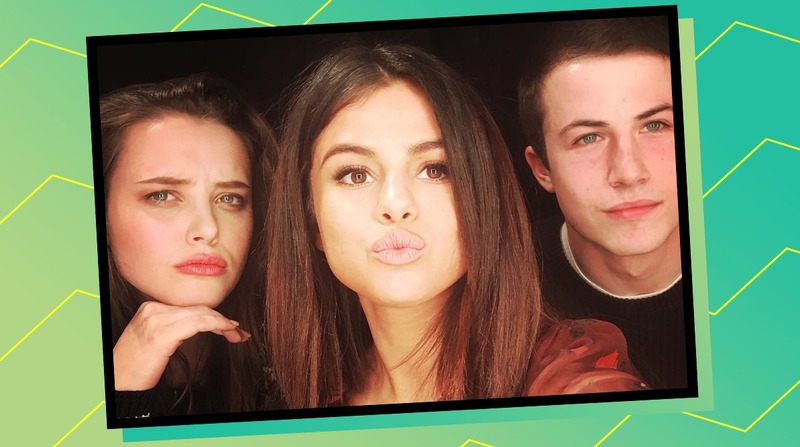 13 Reasons Why is still taking over our lives—and if Selena Gomez has anything to do with it, it is set to do so for the foreseeable future. The executive producer of the show has been dropping some massive hints about the second season, and if it's any consolation, she's just as buzzing as the rest of us for the show to start again. During an interview with Seattle's Movin' 92.5 station, she said "I'm so excited for season two. I think it's going to be so exciting because you know, I didn't expect the first to be as loud. I didn't expect it to have the reaction that it did. It was amazing, and it was complicated, and there was a lot of stuff that came with it, and I understood what that meant. "I was in the writers' room the other day, and they're working so hard, and it's going to come together. I was sitting there at the table, like, Wait, what happened? Almost like freaking out. I'm so excited. It's going to be great." "I think for season two, we elaborate more on some of those questions and the stories and the resolution, if you will, of what some of these kids have gone through and are going through. So it's exciting." Can we have a release date, Selena. Pretty please?